Drowsy driving is as common as ever. Scientists can't pin exactly the reason why it's necessary, they just know it's true: Everybody needs sleep. In fact, for the mind and body to perform at their best, between seven and eight hours of shuteye per night is ideal, according to the American Academy of Sleep Medicine. Yet not only are many Americans not getting this amount, but their performance is also suffering – both on the job and on the road. 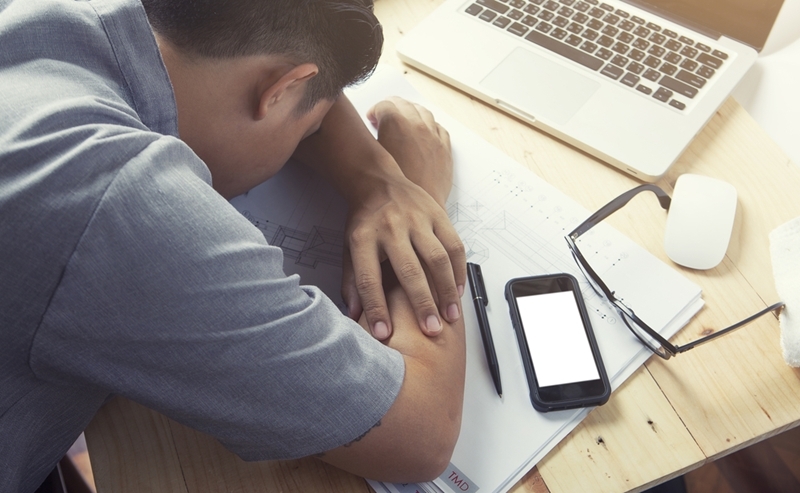 More than a quarter of adults admits that they don't get enough rest more often than not, according to a recent survey conducted by CareerBuilder. Additionally, more than half – 60 percent – say that their productivity at the workplace is adversely impacted as a result. Perhaps even more concerning is the infrequency with which hard-working individuals are getting their proper rest. Just 17 percent of respondents to the CareerBuilder survey said they routinely get eight hours of shuteye nightly. Nathaniel Watson, M.D., newly minted president of the AASM, noted that Americans' sleep debt represents a clear and present danger and is every bit as important to well-being as physical activity and nutrition. "Sleep is critical to health, along with a healthy diet and regular exercise," Watson explained. "Our consensus panel found that sleeping six or fewer hours per night is inadequate to sustain health and safety in adults, and agreed that seven or more hours of sleep per night is recommended for all healthy adults." "From 2009 to 2013, more than 72,000 accidents were sleep related." Performance is a key component in all aspects of life, but it's particularly crucial on the roads, where motorists have to be alert at all times to avoid accidents. 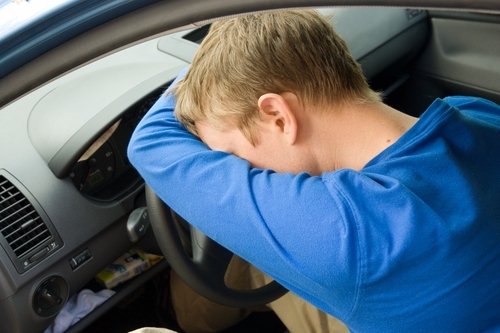 Unfortunately, drowsy driving is more common than you might expect. According to the most recent numbers available from the National Highway Traffic Safety Administration, 72,000 crashes between 2009 and 2013 stemmed from motorists nodding off at the wheel. Tragically, 800 of those involved were killed and approximately 41,000 were injured. The chronically tired go to a variety of lengths to keep their eyes open while driving, like dialing up the radio, chewing sunflower seeds, drinking caffeinated beverages and rolling down the windows even on bitterly cold evenings. But there's no evidence to suggest that these strategies always work, as the body's need for sleep is irrepressible. Back in 2015, the National Sleep Foundation performed a study that led the organization to conclude chronically drowsy drivers are unfit to be on the road. Researchers determined that this is particularly the case for those who've slept two hours or less in the previous 24 hours. "Sleep is a fundamental physiological need that no human can avoid," warned Charles Czeisler, M.D., chief of the division of sleep and circadian disorders at Brigham and Women's Hospital in Boston. "While individual sleep needs vary, and stimulants, like caffeine, may trick sleep-deprived people into feeling alert, the reality is that people are definitely impaired when they have obtained two hours of sleep or less per day." Sleeplessness is an epidemic in America, resulting in reduced productivity and performance. Even those who try to get their recommended seven to eight hours of sleep per night aren't always successful. If you're having trouble, here are a few helpful suggestions recommended by the National Sleep Foundation. The body's internal clock thrives on routine. If you can, try to go to bed and wake up right around the same time each night, even on Saturdays and Sundays. A growling stomach can cause wakefulness, so it's best to hit the hay after having something light to eat. Ideal examples include, popcorn, pretzels, crackers or anything that's primarily made up of carbohydrates. Physical activity is a core component of good health and well-being that also serves as a sleep accelerant. Naturally, exercise builds up the body so it's stronger, but before that, the muscles break down from the exertion involved. It's the fatigue that results that helps induce sleep. Ideally, exercise in the morning or midday. Wherever you rest, it should be somewhere that's amenable to sleep. For instance, all the lights should be out and sounds should be kept at a minimum. However, white noises – like those emanating from a fan – can be helpful. Ensuring that it's dark is particularly important . A study done last year by the American Academy of Neurology found that people who were frequently exposed to light in the evening hours were more likely to report feeling fatigue. NSF has a few other sleep tips that can help you get more z's. Being alert, well rested and prepared to drive will keep you on the right course and reduce the chances of getting involved in an accident – one that could change the course of your life.